This development consisted of three smaller projects, each requiring a different structural approach. A large retail tenancy at the rear of the site was constructed using a simple precast and post tensioned concrete solution, whilst the existing building at the front of the site was sensitively modified and refurbished to provide office space. The most impressive part of the project, however is the glass and timber dome over the existing courtyard. 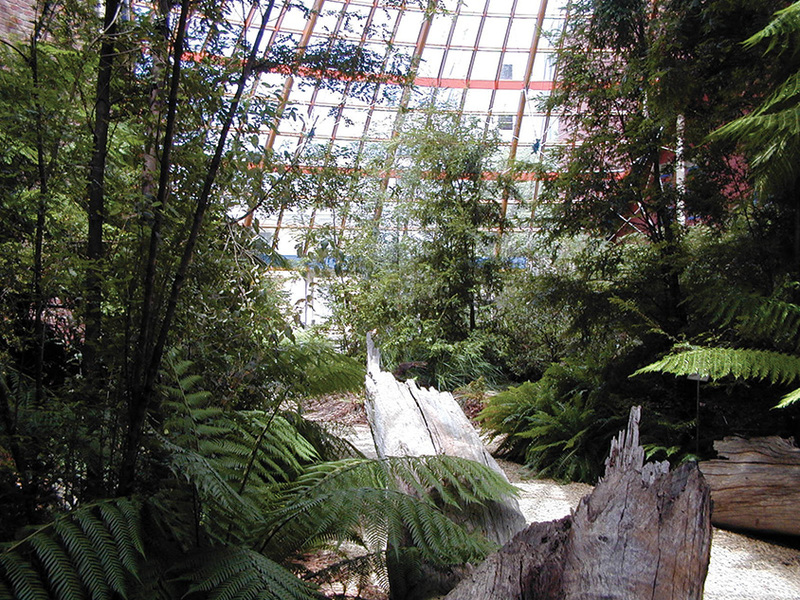 The atrium dome is a remarkable and complex structure, achieved using materials and construction techniques readily available in the local marketplace. The design and documentation went beyond that normally required of a consulting engineer, and included base set-out drawings for all trades and defined erection methods. This resulted in smooth integration of the prefabricated steel, timber and glazing elements and trouble free erection.